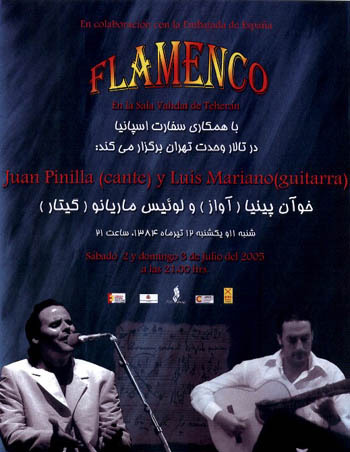 TEHRAN, June 27 (Mehr News Agency) - Spanish Embassy in Iran plans to hold the second phase of "Flamenco Guitar" competition at the Arasbaran Cultural Center in Tehran on September 6. The participants will perform different pieces in their repertoire. Iranian musicians Simon and Loris Aivazian, Kaveh Nasehi, Bahram Aqakhan, Farshad Abedini Sepehr, and three other Spanish musicians are the jury members. A Spanish band is also scheduled to perform a flamenco concert at the closing ceremony of the event. The first stage of the competition was held at Tehran's Iranian Artists Forum.